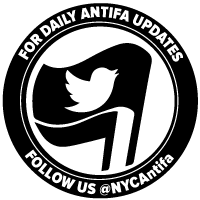 We are a group of autonomous anti-fascists in NYC who are responding to recent events concerning a far right group called National Anarchist Tribal Alliance­ New York (NATA–NY). 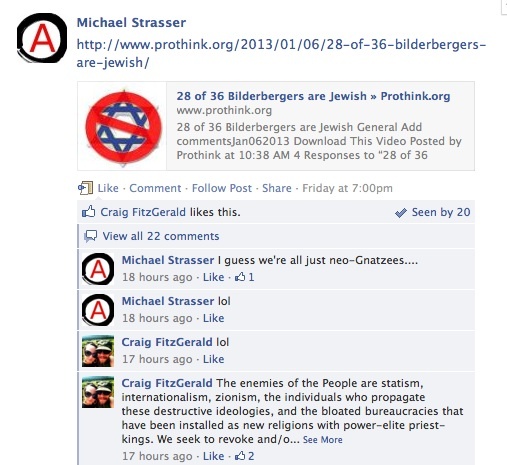 They are closely connected to international fascist groups and endorse white separatism, holocaust denial, and anti-Jewish conspiracy theories. National-Anarchism grew out of Third Position fascism, which is an anti-capitalist offshoot that believes in racial separatism rather than white supremacy. National-Anarchism was formed by aging Nazi skinheads in an attempt to infiltrate anarchist and radical movements and turn these activists towards far right politics. 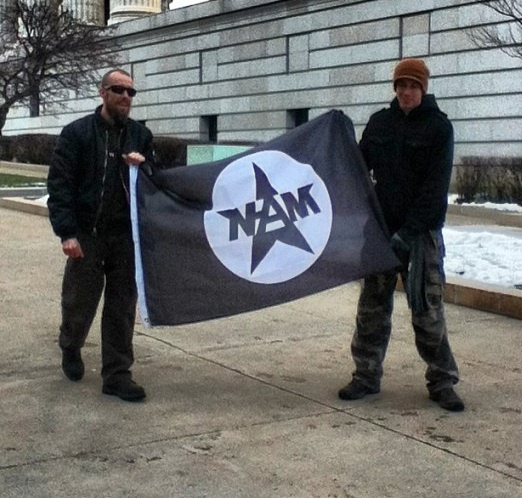 Some U.S. National-Anarchists prefer to say “tribal” instead “national”; this refers to organizing different, often ethnically separate “tribal” tendencies into a pan-secessionist alliance. There are similar groups in Germany, Russia, etc. which dress up as anarchists or left-wing groups, and appropriate their images and slogans—but promote ideas of xenophobia, white supremacy, racialism, Islamophobia, anti-Semitism, and homophobia. In Britain, National-Anarchists publish books about obscure fascist leaders in an effort to revive their ideas. In Australia, they are involved in anti-Muslim and anti-immigrant politics and are led by a former member of Volksfront, a Nazi skinhead gang. The Bay Area group was involved in a May Day street battle with antifascists after participating in an anti-immigration rally with the Minutemen. Their other activities included infiltrating a pro-Palestinian parade with anti-Semitic propaganda, donating food only to white homeless people, protesting a queer street fair and screenings of the movie ‘Machete’ (for supposedly being anti-white), and burning a Koran. 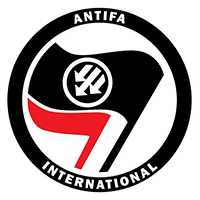 Members of all of these groups have moved back-and-forth between National-Anarchist organizing and traditional fascist and far right political work. 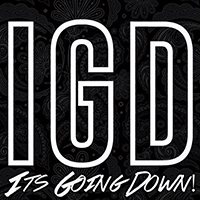 The New York group formed two years ago but until recently has been mostly inactive, at least after its leader Craig Fitzgerald—a conspiracy theorist who has been involved with right-wing groups like the John Birch Society and the Constitution Party—moved upstate last year. 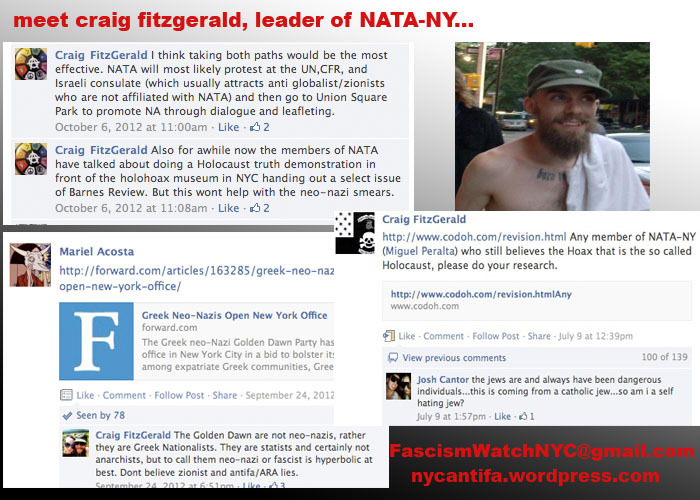 On the NATA FB page Fitzgerald promotes holocaust denial and apologizes for the Minutemen and neo-Nazis like the Golden Dawn. Fitzgerald says he is not a white separatist but has publicly endorsed white separatists’ rights over and over again, and he is speaking at an upcoming “Anarchy in the NYC” conference that will be held on 4/20. 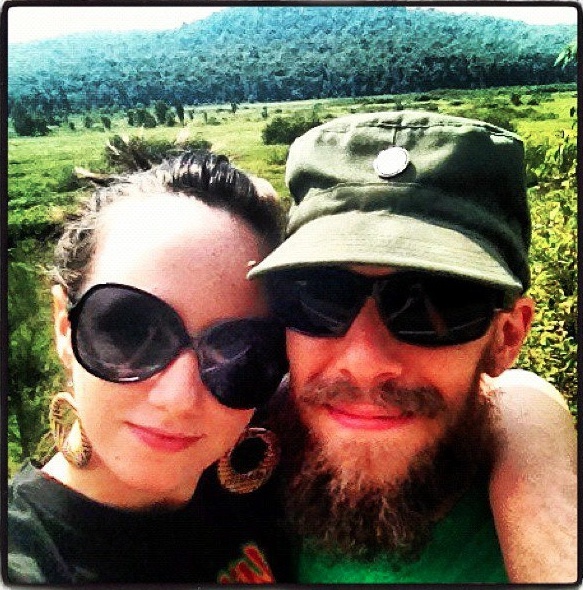 NATA’s website was originally set up by Andrew Yeoman, then leader of National-Anarchism’s Bay Area group. 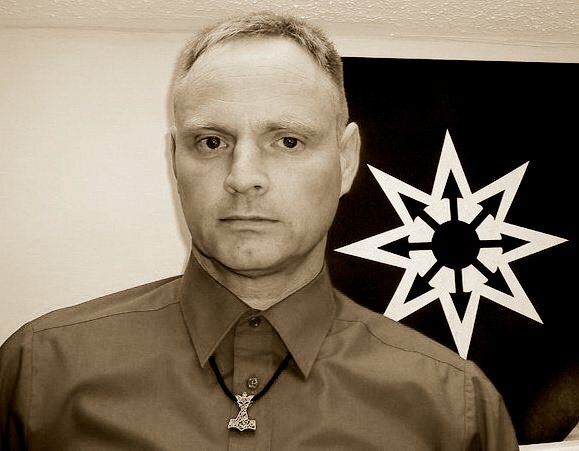 NATA is also a member of the international National-Anarchist Movement (whose obsession with white separatism and thinly-veiled anti-Semitic conspiracies is more obvious), even though the New York group itself straddles the line between crypto-fascism and the racist, anti-Semitic wing of Ron Paul-style libertarianism. We understand some members of NATA circles are people of color, but they still are active in an organized political group which endorses white separatism, holocaust denial, and anti-Jewish ideas, and whose sister National-Anarchist groups engage in anti-Muslim, anti-immigrant, and homophobic activism. There is also a long history of people of color in fascist and far right movements in Latin America and Asia. As anti-authoritarians we stand opposed to nationalism and racism—including attempts to “voluntarily” bring back Jim Crow racial separatism—as well as capitalism, the state, and bigotries such as homophobia, patriarchy, Islamopobia, anti-Semitism, and anti-immigrant views. We call on all fellow radicals and punks to deny National-Anarchists (and all other groups with similar views) the use of radical spaces and participation in radical groups—not just in New York City, but everywhere. UPDATE: Shortly after this post was circulated, a band who had recently been dropped from an ABC No Rio show responded by renouncing NATA. Most encouragingly, the member of that band who administered NATA’s Facebook page says he has left NATA, claiming he did realize the nature of the group. 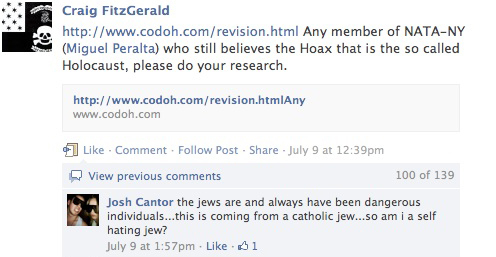 For this reason, we have removed identifying information about the band from this post. This entry was posted in Call To Action, Culture, Music, New York City, Opinion. Bookmark the permalink.